[Graphic] Failed Doomsday Predictions through the ages. As you know, The Grinning Skull tends to feature material concerning Armageddon, the zombie apocolypse and most things four horseman-like, so Allison and the team at Onlinepsychologydegree.net thought you might like this fun infographic about some instances the doom sayers have got it wrong! If you have anything that you think our readers would find interesting, or would like to guest write an article or two, please let me know and we’ll get it sorted! This graphic is brought to you in conjunction with OnlinePsychologyDegree.net. When is the Next Doomsday? Am I Too Late for Doomsday? So, did you see the conclusion to the two part Apocolypse? I watched eager to laugh at this weeks episode, but alas there were not as many this week. Sure the poor lad was heartbroken when he failed to get airlifted out of the compound, call me cruel, but that was funny, it just was this concluding part was lacking the promise of the last one. the premise of the stunt was a good one, the execution was stale at the end. Don’t get me wrong, the zombie in his pants was funny as well, it just all came to shite. Maybe what they are saying is true about stephen being an actor? I have always been suspicious about hypnotists and their apparent ability to control people. Apparent being the catch word! For us in the UK you can catch it on 4OD and youtube, as ever I will post it here when I get a link for those outside the UK, or if any readers have any link to it, let me know and then we can all share!! 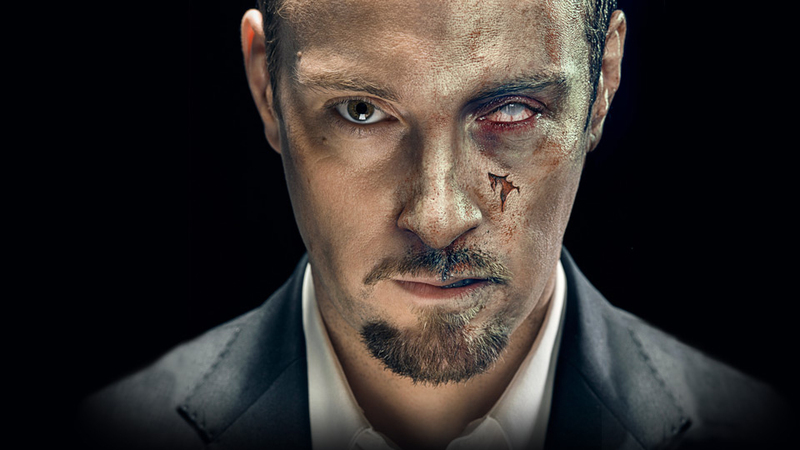 Derren Brown’s End of the world Headf**k! So, which of you had the chance to see Derren Brown‘s latest hypnotic headfuck “apocolypse”? I must say, I’m not really keen on the man himself, but I found this really entertaining, and I found myself laughing at it a lot! Why did I laugh? Well, for one, the amount of set up that was prepared for the poor guy, including the hacking of everything from his phone to setting up entire radio segments in order for the victim to believe the end was coming. I found it funny. Funny but cruel. Yes, I know that it was supposed to be to teach him a lesson about his lazy lifestyle, and make him prize the things in his life more, but I felt it was just another cruel prank, masquerading under the guise of a life lesson. Not that I’m complaining, as I really enjoyed it. The effort that went into the whole set up was superb, and next weeks show looks like it’s going to be even better! I just fear that the way TV is going, are we going to see more of this kind of set up with a cruel conspiracy trick pretending to be something other than what it is. It’s just taking the piss out of people for entertainment. That’s fair enough, but just don’t make out your doing something worthwhile rather than tell the truth. Channel 4 seems to be a bit of a one trick pony for these “reality” programmes with another set up show coming soon, and that goddamn awful meet the parents show. Still, last nights offering was at least, zombie related, so isn’t all bad! For my international readers, I will try and search out a link to the program so you can watch it and judge for yourselves, UK readers will be able to see it on 4OD or youtube if you missed it! Let me know what you thought about it?